This book was so addicting cover-to-cover. I could hardly put it down. I am not sure if it was the writing style or the actual story itself, but something about it just hooked me and would not let me go. It was fun, it was sweet, it made me laugh out loud at times. The characters were all pretty great. Anna as the protagonist was fun to read through. Her personality made this book very light and enjoyable. I think every girl reading this can find a bit of themselves in Anna or on of her friends. St. Clair was a great complementary character. Once they met, you could feel the chemistry right away. He and Anna had witty conversations and you could feel the relationship growing from day one. There was something really sweet about seeing such a fun relationship bud throughout the pages of this novel. You can’t help but to root for them to be together. 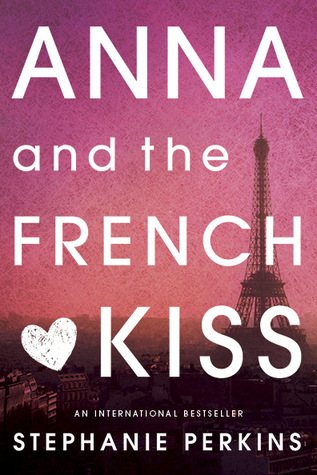 With the young romance, the family and friend drama, and the quick and fun experience with reading this book, I feel that Anna and the French Kiss as well as its sequels will be a staple in YA literature for years to come.